Another lovely morning in Kuala Lumpur! We bid farewell to Bali after another amazing holiday. 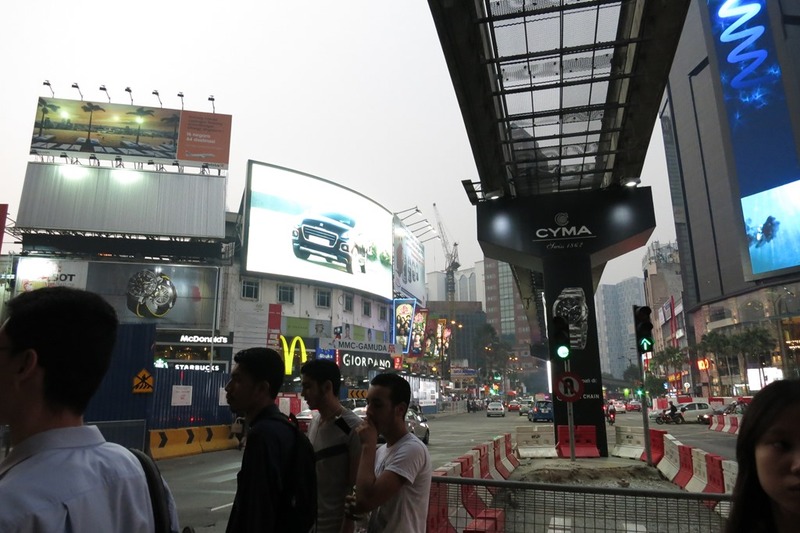 The last few days of our holiday are going to be spent in Kuala Lumpur. This time our trip isn’t about seeing the sights or experiencing all the tourist spots – for that you can find details on our 2013 trip reports. We slept in a little bit this morning – as a result when we went up to Breakfast we actually had to sit inside – how terribly rude! Nicely air-conditioned so if you want to delay that lovely Kuala Lumpur morning hit of humidity it can be worth sitting inside – but you miss out on the awesome view. First up this morning the wife and I decided to split our energies – her off shopping and me off to find a massage. Dan went shopping at Pavilion KL Shopping Centre. This is another massive place that has felled many a brave male shopper. At over 8 levels you will be sure to find something to your taste! If you like food I particularly recommend the Food Republic down on the first floor – it has a wide range of amazing little restaurants offering you tastes from across all of Asia. Meals are pretty cheap at about RM9 per plate and the food is always cooked fresh. To put the Pavilion into some perspective the store list includes – BENTLEY – yes that is right you can pop in on Level 2 and buy yourself a nice Bentley Automobile…. As I mentioned I had gone exploring to find a massage place. I had heard on the internet about the various Blind Massage places in Kuala Lumpur. In the Little India area there is a huge concentration of Massage centres run by blind masseurs. The KL Blind Association runs programs to train blind men and women in massage. They found that when their visual sense was taken away that their other senses were increased – meaning they had a natural tendency to amazing massage. I went to AA Blind Massage Centre on Jalan Thambypillai; The place is run entirely by the vision impaired – the buildings and the area look a little run down and seedy but I can assure you the place was very clean and well run. The staff were very friendly. Also if you are the type to feel a little nervous about getting undressed in a massage place, you can at least feel a little more comfortable here – the staff can’t see you! Massage was amazing – my massage therapist was very good and knew all my sore spots! Although I was a little worried when he got to my stomach and went “oh – you must like beer….” oh dear perhaps it is back to the gym for me when I get home. All up the massage came to RM45 so very cheap (please consider leaving a tip if you felt the service was good!). After my massage I met back up with the wifey at Suria KLCC Shopping Centre. This is the “little” shopping centre underneath the Petronas Twin Towers. I actually caught the LRT Train from Little India to KLCC – and Dan walked on the covered walkway from Pavilion. Suria is only 6 floors of shopping but covers quite a floor space. As a hint though, during the week try to avoid being here around lunch time – the food court seems to be the #1 destination for many of the office workers in the Petronas Twin Towers. We stopped and grabbed some lunch at Nando’s on the Concourse Level – we were not really that hungry so just grabbed a quick meal. 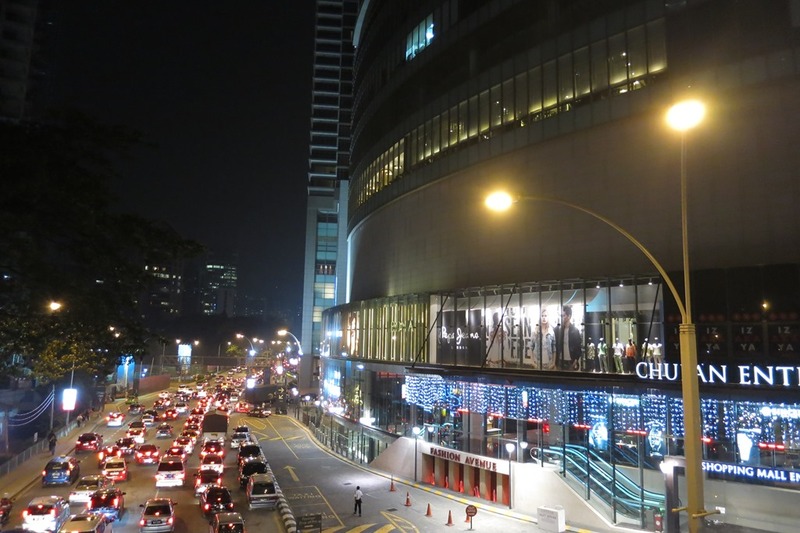 Headed to Giant Supermarket in the Sungei Wang shopping centre to stock up on our must have food items – eg. Milo Nuggets, Kit Kat Bites, Sugus, Polo Mints – You know all the very responsible adult products! Boy did we get some funny looks at the register buying RM66 worth of chocolates and confectionary. 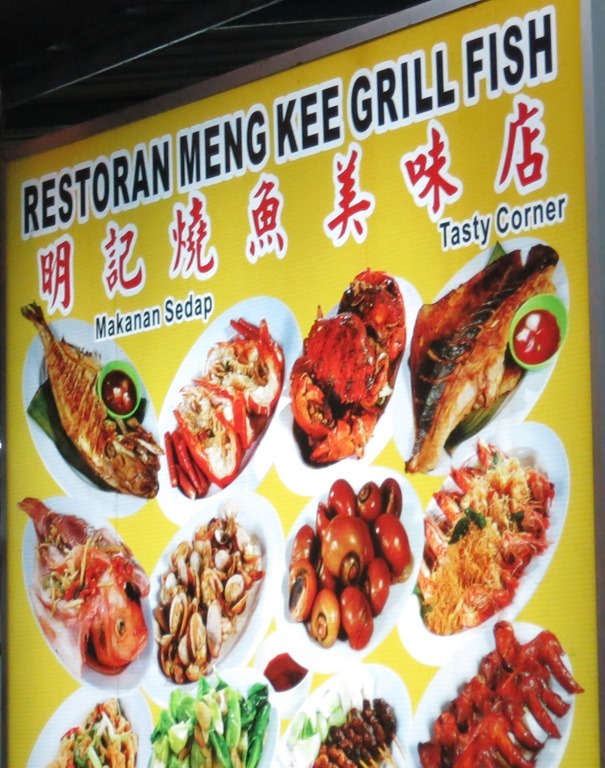 Yep you guessed it – back to Jalan Alor to Meng Kee Grill Fish. Sorry for the boring meal choices – we didn’t know when we would be back in KL and these guys are great value. The staff here are so friendly and fun to chat with plus the food is cooked well. After dinner we stopped off and got Gelati again at Pavilion – before heading back to the hotel. Love the traffic out the front of Pavilion at 10:30pm! Hence why this walkway is an absolute savour for tourists. We fly out tomorrow so the responsible thing to do would be to pack. But when we pulled out our bags and looked at everything we decided to watch TV and go to bed instead.